Zaizao Wan helps to promote blood circulation, remove blood stasis, resolve phlegm, and remove obstruction from the collateral. Purchase this product now and earn 105 Points! 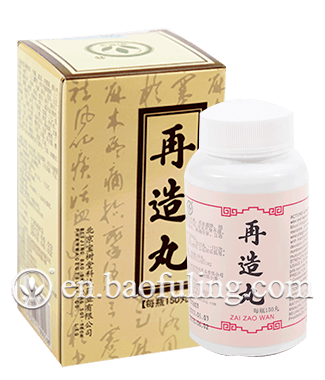 Indication: Baoshutang Zaizao Wan treats stroke due to wind-phlegm obstructing the meridians with manifestations of hemiplegia, deviation of the mouth and tongue, numbness of hands and feet, muscular contracture and dysphasia. 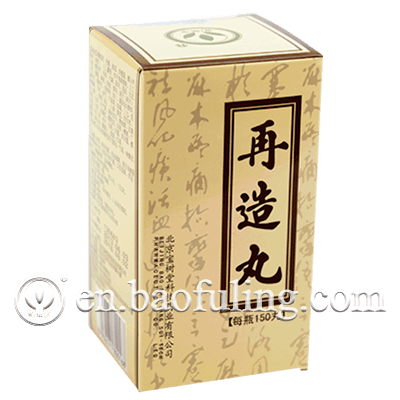 It helps to promote blood circulation, remove blood stasis, resolve phlegm, and remove obstruction from the collateral. Specification: 60g per 100 pills. Usage: Take up to 15 pills each time, twice a day. Storage: Preserve in a tightly closed container. Expiry: 36 months from the date of manufacture. Precaution: 1. Contraindicated for pregnant women. 2. Not to be taken by sportsmen. I got this for my parents, it is really worth the money if you buy them in set!